Does Brexit affect how universities should be teaching journalism? On Friday 24 June, as tattooed or cashmere-clad forearms punched the air in Brexit triumph, a disconsolate group of journalism educators were struggling through their annual conference. Struggling because most of us were dealing with the first two stages of Kübler-Ross’ model of grief – denial and anger; but struggling also to debate something that is becoming an increasingly acute question in journalism education: are students supposed to be trained, or educated? The issue seemed all the more acute because so many of us felt let down by journalism during the Brexit debate. Set aside the parti-pris nature of the British press, with Brexit arguments predictably receiving the lion’s share of the coverage, and you still have widespread discontent with the way the BBC’s “balanced” approach gave equal weight to what many people believed were suspect arguments and even lies. Even a flagship captain, the Today Programme’s Justin Webb, has indulged in some light breast-beating about it. Publications as diverse as the Economist and the Catholic Herald were either so hesitant to come out about their Remain views, or so evenly balanced, that readers were left uncertain. Many people feel that journalism failed them. So now more than ever, with our national fabric rent, we need journalists who are politically and socially aware. Even as the Brexit result appeared, a Danish colleague was telling me she feels that the elites who control her national media are cut off from ordinary Danes who are susceptible to far right populism. So this isn’t just a UK issue. How does journalism education encourage independent thinking? For years, the discipline has been divided around a kind of apartheid between thinkers and doers. It is common for academics in journalism studies to believe they’re the most reliable observers of the profession. But most degrees are at least partly vocational, and taught by journalists who feel affronted by any suggestion that they lack the qualities of scepticism and analysis. Those who say vocational degrees lack sophisticated analysis of public affairs sometimes cite the widespread presence of industry accreditation. Several bodies representing the traditional broadcast, newspaper and magazine sectors exercise considerable influence over how degrees are taught. Their kitemarks are popular with schools careers advisers, who take them at face value, and with universities, who use them as marketing tools. But do they produce better journalists? The answer is not clear – indeed, it’s so vague that the AJE (Association of Journalism Lecturers) will host a conference next year to debate accreditation. The argument for accreditation goes like this: universities can go into open days promising students real workplace skills, like shorthand, feature writing or video editing, in a degree rubber-stamped by an external body with verifiable industry contacts. Result: the practical nous to obtain a job and start being effective on day one. The contrary argument is as follows: quality employers don’t want drones trained to be brilliant at Final Cut Pro, they want people who are question-asking, sceptical, resilient and socially and politically aware; anyone can be trained up to operate a bit of software, but not to be curious. It has always been possible to do practical skills training at FE colleges, so journalism BAs augment the practical with academic theory and sometimes a dissertation. But critics say one of these must inevitably suffer – and it’s usually the academic side. At the recent AJE conference, Katie Stewart of the University of Sheffield – one of the UK’s top universities – said the increasing demands of the BJTC (Broadcast Journalism Training Council) have led her course to decide to drop it. She believes the demonstrable qualities of her degree, and the track records of her graduates, will be enough on open days to allow it to flourish without the kitemark. The final straw, she says, was the BJTC’s insistence on 15 full “newsdays” a year, sucking up teaching resources and – crucially – forcing something else to give. What do you cut back on? Politics? The study of bias and media ownership? A critical but time-consuming analysis of how the media covered the EU referendum? Ms Stewart had also put a price tag on the cost of three accreditations, including fees to the bodies, hospitality, administration and academic staff hours. There was an intake of breath around the room as she uttered the figure, “£85,784”. I should stress that I see objective benefits to accreditation. These external bodies force journalism BAs to reflect critically on our programmes, and pressure-test our claims to provide industry standards of professionalism. The accreditors, who are mostly senior journalists themselves, provoke rather more incisive and stimulating discussions than the mutual back-scratching exercise that external examination can sometimes be. And they do mandate a level of ethics and public affairs. Accreditation unarguably exposes poor practice; the debate is over how much practice and how much more intellectually broadening content is appropriate on a degree in British higher education. We hear a lot about how journalism is in decline, but interestingly there are now more journalists than ever, and the flow of students on to degree courses is not apparently diminishing. Yet there’s no fixed agreement about what a BA in journalism offers students. I am conducting research into how teachers and school students view journalism, and finding a lot of contradictory ideas in circulation. 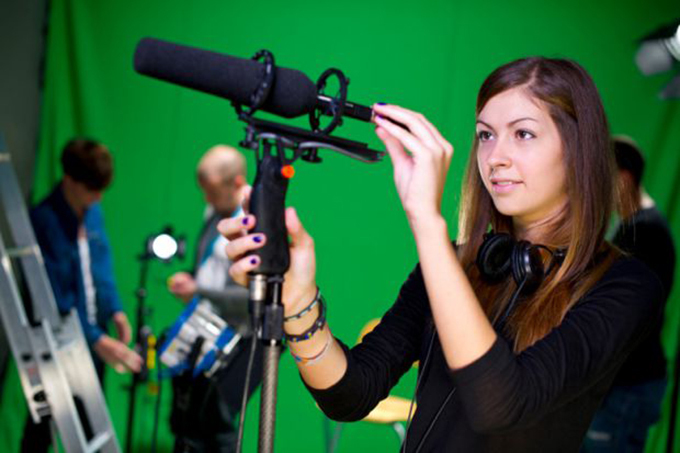 On open days we see students who want to be newsreaders, sports commentators, fashion writers, photographers, or – occasionally – political reporters. I tell students that journalism is a humanities degree that also provides excellent skills in communication. While many of our graduates do enter journalism, some enter PR, teaching or careers with no explicit connection to communication. It’s clear that the skills of sceptical analysis and good self-presentation make them strong candidates in the jobs market in general. So while skills play a role, they are subsidiary to the nobler ambitions of social engagement. But universities exist in a real world in which recruitment is king – empowering the kitemark-issuing bodies. And any course that goes it alone will run the risk of being accused of demonstrable mediocrity by courses that cling unswervingly to the accreditors’ stipulations. At our London conference, as the trauma of Brexit sank in, journalism educators were more conscious than we have been for years of the need our society has for good journalism. Our mood is not to vomit forth students with impeccable craft skills but a depleted sense of the nobler values the profession espouses. We need to stimulate, provoke and destabilise our students, to challenge complacency and to engender curiosity. Our responsibility, we’re realising more than ever, is to produce graduate journalists who think for themselves, who challenge and who protest. Author Bio: Martin Buckley is a journalism lecturer at Southampton Solent University.